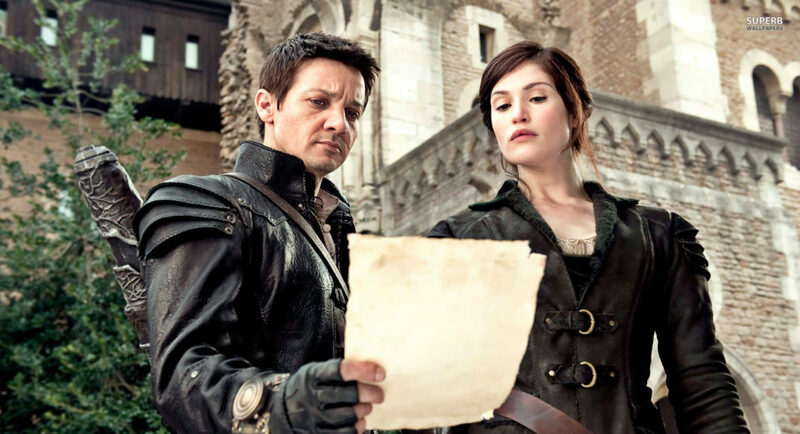 Hansel & Gretel: Witch Hunters Review - Are You Screening? Jeremy Renner isn’t coming off a year that would lead one to predict that his new venture would be of the Hansel & Gretel: Witch Hunters, except, it’s actually pretty good. Of course, you might have to have a certain movie-related perspective for that statement to hold water. Jeremy Renner and Gemma Arterton play Hansel and Gretel, siblings who are introduced to us as young children who quickly live through the “candy house witch” story we’re familiar with… more or less. In this next installment of the curious sub-genre “you think you know the real story” (which includes such things as Red Riding Hood and The Brothers Grimm), Hansel and Gretel discover they are immune to witch spells, and use that to become witch hunters. The film’s introduction shows off many of the broadsheets that celebrate their adventures over the years. Fast-forward to the film’s present, and the now famous witch killers arrive at a small hamlet just in time to save an innocent woman from being killed as a witch. Hired to solve a witch problem, this town faces no ordinary threat, and their children are disappearing at an alarming rate. It’s a world in which witches are legion, and an excursion to root out one town’s problem can turn up unrelated witches, and our team have their hands full. Throw in that the local Sheriff (Peter Stormare) sees the Witch Hunter intrusion as a potential threat to his position of power as the big fish in the world’s smallest pond, and there’s a lot of juggling to do. It all serves only to offer up chances for strange and mystical fight scenes, as you might expect, but as we ferret out the plots, there’s a decent story going on, complete with a connection to the past. Plus, there’s a soft-hearted troll, who is just fantastic at crushing things. As much as this film is solidly in a throw-away, action nonsense category, and it is, there’s more to it than you’ll find in most such fare, and that’s clearly due to writer/director Tommy Wirkola‘s commitment to, and appreciation of… whatever this is exactly. It’s a film that isn’t trying to be anything it’s not, and that’s refreshing in itself. Many similar efforts try to add some level of “goodness” and/or respectability by adding elements that move away from the heart of the thing itself. This generally ruins whatever potential a film had. Wirkola goes a different direction, struggling only to make a rather goofy piece of action entertainment, and make that to the best of his abilities. It’s a theory straight from his indie festival gem Dead Snow, which made fans of just about everyone who managed to catch it. You don’t get a lot of attention for making a nazi zombie film unless you’re doing something interesting. This comes through mainly in the ways in which Hansel & Gretel manages to surprise you. Whether it’s in smaller ways, like obvious and practically obligatory scenes which don’t play out the way you expect, or in the larger formulations, like the fact that our heroes are merely committed to their job, not particularly good at it. Adding to the positive regard the movie makes you want to throw at its writer, the dialog is refreshingly real, even if we have to qualify that with some mention of the genre. Actually, there are few positives you can aim at this film that don’t require qualification, and the question is really just what that means to you. It betrays its budget at times, with outdoor action sequences feeling a bit “cheap” in comparison, and there is a certain comic-book indestructibility of our heroes that doesn’t always seem to fit, but it’s fun and worthwhile entertainment. There’s a critical question to address with such films, and it is one that finds critics and the general populace raising their fists at each other. It comes down ultimately to this statement – If this movie can be good, then it is. It’s mostly goofy in a way few films dare, yes. It’s also constructed around a general formula that celebrates the truly light-hearted, wherein “depth” is a term that loses all meaning. But, it’s a good time, isn’t insulting your intelligence, and thrills in possibilities of bringing forward a very different era of movie magic. 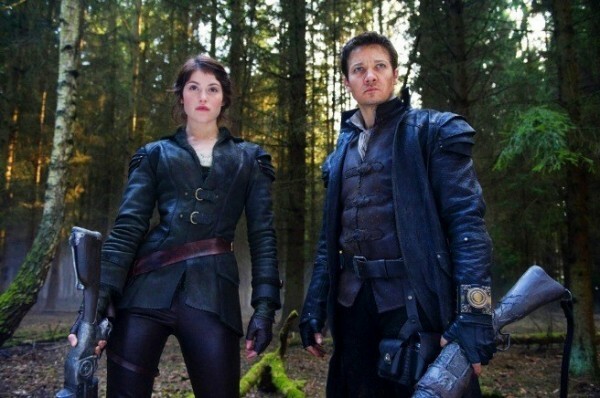 In the end, there are actually plenty of reasons not to like Hansel & Gretel: Witch Hunters, but they’re all theoretical.